What a knockout for the all white garden as well as being the perfect foil to set off all the other flowers you love. It is said that no garden is complete without white to pull everything together. 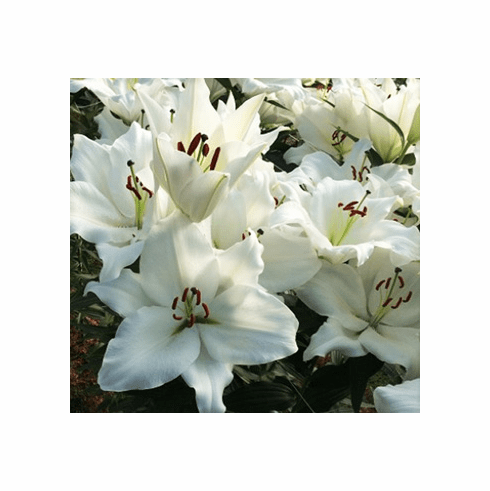 'Silverside' is by far the finest upfacing white Oriental Lily we have ever grown, and the fragrance is beyond compare. Growing to about 4 feet after settling in, she is a late July / early August bloomer. And did we mention the heavenly fragrance?